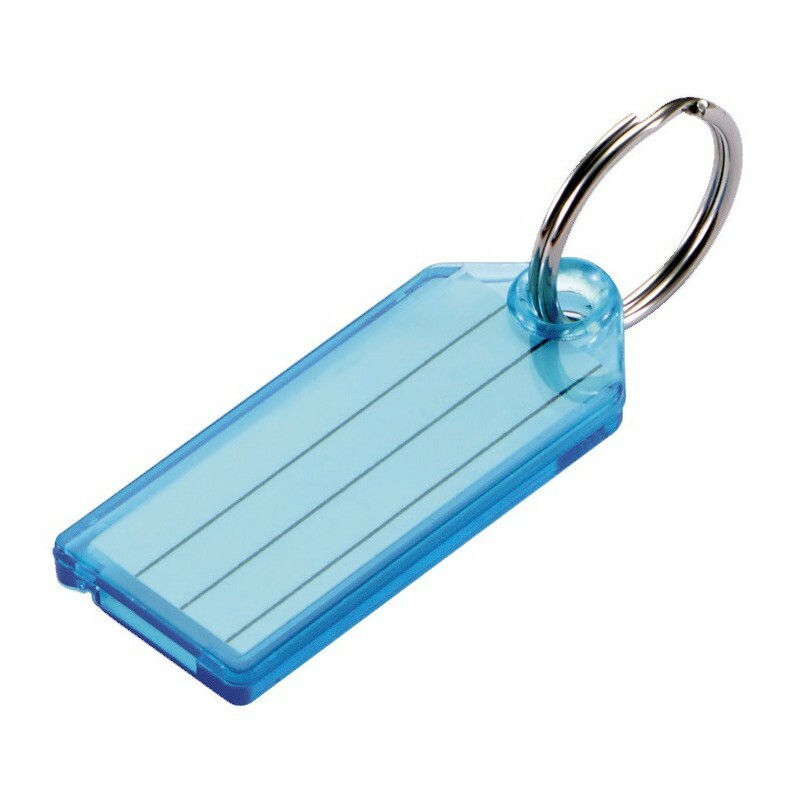 • Durable, transparent tag for keys or luggage. • Paper insert slides out easily. • 7/8” nickel-plated tempered steel split key ring.